Rush, the biggest cult band in the World! Discuss. My guess is that this could be the 5th or 6th version of Moving Pictures if you’re a Rush nut and bought different versions as they came available – Vinvl, CD, Cassette, Jap Version, 90s remaster, now this beauty which every Rush fan must own. 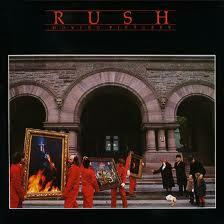 This was the album that got Rush noticed everywhere. Gone were the 20 minute epics, in came the explosive riffs, and combined with Peart’s lyricism, there was no holding them back. You can catalogue the Rush releases into 3 categories – everything up to and including Moving Pictures, the synth laden 80s, everything since 1990 – which thankfully saw the return of the guitar driven Rush. There are subtle differences to the original cd I own, tracks are a few secs longer, but nothing I can actually detect is different. However sonically its a completely different album to the original. The mix is sweet as a nut, every guitar part, bass line, hi-hat hitting you firmly in the chest. Every little tap/beat on the kit, every note is audible, with no muddy sounds present. You can tell that this was a work of beauty with Richard Chycki (and with supervision from Alex Lifeson) giving it the loving touch it deserves. Now the great part. If you have the capable tech of a decent dvd player and separate amp/speaker set-up, the DVD 5.1 or DTS version is nothing short of outstanding. Set the menu to ‘lyrics’ and you can play your own version of air ‘Rock Band’ to your heart’s content. The remaster should have come with a set of Rush walnut crackers just so we can all hit the Geddy Lee in us for just a few lines. Short of the nut crackers, get out your best silk kimono for added effect. Also included is a nice set of expanded notes, pictures from the MP era, three studio videos and a stereo version of the album. Without overdoing an analysis of a 30 year old album, the DTS tracks are something else - Tom Sawyer just flows around you, and I can say that this is probably as close as you would get to actually hear them recording it in the studio. Red Barchetta comes at you with headlights gleaming and horn a-blazing, Vital Signs give more than a passing nod to The Police with its reggae beats, and YYZ is just fan-bleedin-tastic! Classic Rock is a term used quite loosely nowadays, but in the case of 'Moving Pictures', it certainly hits the mark. Albums don’t get much better than this.